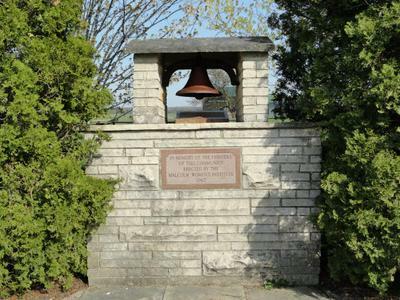 This picture is of the Malcolm Cairn located at the intersection of Concessions 10 and 11 at the 25th side road of Brant township (which is now a part of the municipality of Brockton). The hamlet of Malcolm grew up around a Presbyterian Church erected at the crossroad in 1859. A brickyard was the major industry located there. At its peak the community was comprised of a store, post office, blacksmith, two hotels, the brickyard and thriving farms surrounding it. A school was erected by the community in 1872. In the 1880's a small community hall was opened. In 1890 Brant Cheese Manufacturing Co. opened and in 1905 when this endeavour closed the building became a wagon repair business and a paint shop which thrived for many years. In the early 1900's the new railroad was built but it did not travel through Malcolm. The community began to decline as a result. Good things did continue to happen at Malcolm however. In 1914 Malcolm was home to the United Farmer's Co-operative Co., a buying club operating from the hall and later from the store which they had purchased. 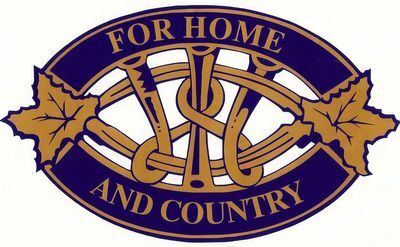 In 1949 they joined with the Marmion Buying Club in Sullivan Twp. to become the Grey-Bruce Co-operative based in Elmwood. The school operated until 1967 when it was closed and the students were sent to larger central schools. Malcolm Women's Institute erected a memorial cairn in 1967. It is dedicated to the early pioneers from the Malcolm area. It is located on land, donated by Oscar Monk, where the original store stood. The original bell on the cairn was donated by the Sickle family. After that bell was stolen a replacement was purchased from the farm of Ron Lamont. Today, little remains of this once thriving community. The school building is still there as a private residence. The cemetery is still maintained. The farm of Don and Peggy Leifso, which is the site of one of the hotels, still thrives. Located beside the cairn is a plaque commemorating the Farmer's buying club and a new plaque erected by Malcolm Women's Institute in 2014 detailing the history of Malcolm.